There they were, armed to the teeth with murder in their eyes. The cluster of orcs gathered into a line and prepared to rush the defenses. She and the other defender tightened their grips. Another flash of lightning and rain drops began spattering to the ground. The line began its charge, picking up speed like a boulder down a hill. She could see the whites of their eyes, their tan tightly drawn lips. The two lines collided. Grunts and shouts filled the sodden air, shields smashed and weapons hacked. She raised her own shield just in time as a crude axe shrieked across its metal surface. Its wielder, a particularly cruel faced orc with a wicked gash down to his chin grunted in exertion as his blow was deflected away. She raised her own mace and smashed it clean into his unprotected side. The orc roared and stumbled away but before she could have a moment to celebrate, another axe flashed in front of her eyes before biting into her shoulder. She turned to face this new foe and slammed her uninjured shield arm into the attacker. This new orc too stumbled back but he had drawn first blood. With a wild grin, he steadied into a battle stance and moved forward again. Blue blood was splashed all across his weapon hand. There was a pause and then the orcish line retreated to regroup again. They left behind the bodies of the wounded and fallen, but it did not matter, they would be back for them. She peered to her sides, through the now steadily falling rain. The defenders’ line was reduced by nearly a third. To her left and her right, allies had fallen. Puddles on the ground mixed with blue and red blood. But they would not be broken. The line would hold. She sat up, sweat pouring down her face. Before her brain had even caught up, she rolled out of the bed and grabbed her shield, falling into a defensive stance. This was no stormy battlefield. Kya’s breath caught in her throat and then slowly released. Heart still racing, she rose out of her stance and returned the shield. Fingertips pressed to her temples, she sat back down on the cot she had so recently jumped out of. “Kya, were you having that dream again? You know, if you talk about it, that might help,” the pink haired gnome jumped down from her perch. She crossed the small space of the tent to stand hands on her hips before her friend. “No I- it’s nothing, alright?” Kya stared at the dirt floor, still rubbing her forehead. The roof of the tent pattered softly under the rainfall. “No, it’s definitely not nothing. C’mon, talk to me about it,” There was obvious concern in the gnome’s overly large turquoise eyes. “If I can just finish up this part of the tunic I’m making, it would be so much simpler to carry around with us on the trip. I was thinking… hey wait don’t change the subject! I still want you to tell me!” The gnome eyed her friend. “Mikri, it’s not important now, I’ll tell you in the morning. We really need to be getting some sleep anyways, tomorrow’s going to be a long day.” Mikri sighed and lost her intensity. “Fine fine, you don’t have to be so pushy!” Kya rolled her eyes as she fixed up her bed. Mikri launched into her own sleeping bag, rustling around in the blankets. “I’ll get the lights,” the gnome called. There was a snap from her side of the tent and the candles all went out as one. The tent was plunged into darkness. Blood. There was a lot of blood, everywhere. Not all of it was hers but a terrifying amount of it was. At this point, Kya had abandoned her weapon. Her shoulder was raggedly bound up and the arm hung limply at her side. Like a trapped animal, she scampered over ruined gates and carts. She wasn’t sure where the captain of the guard was but it didn’t matter anymore. The line had fallen. No, fallen was too kind a word, it had been shattered. Smashed. Obliterated. Kya continued her frantic retreat but not even she was aware of where her terror was bringing her. She slipped in the blue puddles splattered on the ground. Suddenly, she came to a very familiar place. Her house loomed up before her, the once elegant windows smashed, the once tranquil garden torn up. Kya turned to go but something stopped her. There was someone in the house, she could feel it. Fearfully, she pushed past the splintered door and into the foyer. The rain no longer pattered on her shoulders but now it dripped to the floor in big sloppy puddles. It was really getting everywhere, mother would certainly kill her for this. Carefully, Kya continued down the ransacked hallway into the family room. She had been right; there were three orcs smashing up the place. Something primal within her urged her to charge over and hurt them as much as they had hurt her. But instead, she clutched her battered shield and hung in the deep shadows. The orcs continued their looting, rifling through her family’s stuff, crushing their belongings beneath heavy boots. The group circuited around and entered the kitchen out of sight. Kya let out a breath. What now? Should she follow them or try to flee? Where even would she go? From the kitchen came a grunt of surprise and a high pitched squeal. The sound of stomping and weapons being drawn. Sobbing and pleading. Kya’s legs moved almost by themselves. She entered the room with a shout of her own, bowling over the closest orc. As the group slowly scrambled in reaction, Kya positioned herself between the orcs and their captive. He was a young boy, not from her family. But she recognized him from the village. The child was white with fear, a line of blue from a small cut extending across his forehead. Kya raised her shield to defend herself and the boy. The orcs, now fully recovered stared at their new foe with vicious grins. “Puny draenei. We kill you and boy now!” The orc’s draenei was broken and guttural but the message was clear. She wasn’t a threat. None of them were. Her whole race wasn’t. Nothing could stop the orcish war machine. Kya gritted her teeth and strengthened her arm. Smirks on their savage faces, the orcs advanced as one. As before, Kya launched herself, taking the left most one by surprise. Her shield smashed into his defenseless face and the orc snarled. Kya spun around and raised her shield just in time. Sparks showered as a spiked mace screamed across the shield. The force of the blow knocked her back, and the boy and she were now in an even smaller space. Kya fell back into her defensive stance. Bracing, she intercepted two more blows from the mace and a slice from the third orc’s axe. But the first orc had not been stunned as much as she had wanted. He stepped up beside her, a looming shadow and swung his massive warhammer down. Kya tried to throw her shield up in time but she was too slow. The orc pulverized the already weakened shield and the remaining force crushed into her chest. Kya stumbled to her knees. Now that the kill was close, the orcs were practically drooling with anticipation. The one with the axe stepped forward for the honors, his massive arms tensing as he readied his swing. “Naaru- grant me protection!” Kya gasped, throwing up her arms in a feeble attempt to block the blow. The boy behind her had started crying. 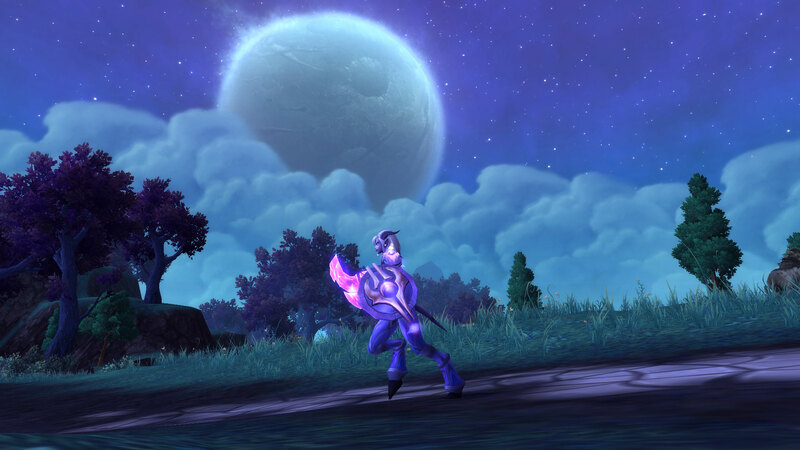 A shield of pure light had appeared between the axe and the crouched draenei, completely blocking the blow. Shocked, the group of orcs stumbled back. Kya felt a newfound sense of strength surge through her. The aches and pains melted away like ice on a hot day. She stood up and in her hands appeared a shining shield and mace, similar to the one that had just saved her life. Invigorated, she once again turned to face the orcs. “What is happening? What did you do?” The boy gasped, his voice cracking in wonder. “The Naaru protect us!” Kya shouted and charged at the astonished group of orcs. She slammed her shield into the first, bringing her mace around to pummel the orc’s other side. “Go now! Run away! Get out of the village, run, run!” The boy paused for a second and then sprinted out of the room. Kya backed up, blocking the exit he had left from. With grim determination, she blocked the orc’s blows and dealt back her own. With each weapon clash, there was a burst of bright light. The orc’s enthusiasm had given away to confusion and for the first time, fear. This was not what they had signed on for. This paladin before them, this was not the easy battle they had been promised. Still, they were orcs and orcs did not flee from a fight. Getting a grip on their amazement, they focused in on the prize. At the same time, Kya began to feel her strength flag again. The spectacular flashes of light began to diminish and her arms began to feel very heavy. With one final blaze, the glowing weapons winked out of existence. She stood, empty handed and exhausted. The light of victory was back in the eyes of the orcs. The one with the hammer triumphantly swung towards his now defenseless foe. 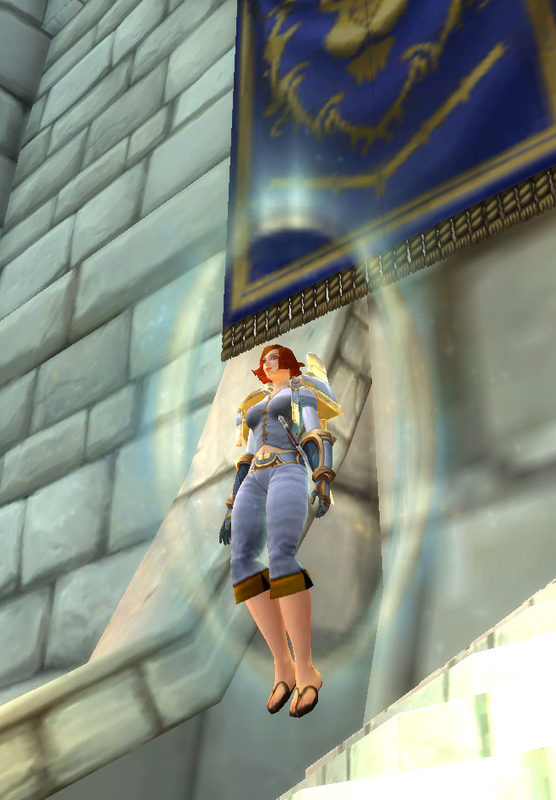 It crunched squarely into her light mail armor, throwing the draenei back into a wall. Many things broke simultaneously within her. Kya stumbled and slumped back. Her head dropped down momentarily to her chest before wearily lifting up again. The orcs stood around her now, apparently arguing over who got the honors. Kya wanted to move, wanted to run away and hide. To hide away from all this pain and fear and destruction. Away from this crumbling world. But she couldn’t move, couldn’t even lift a finger. Through bleary eyes, she stared at the bickering orcs. The one with the axe shoved one of them aside and shouted at the other. It seems he had won this argument. Kya’s eyes snapped open again. The light of the lightning faded away as the rapid staccato of the rain beat upon the tent. She fought down the panic in her stomach and resisted the urge to grab her shield as she had done last time she had woken up. Small short breaths accompanied a racing heart. With trembling fingers, she felt under her nightshirt at her shoulder. The mass of scarred tissue was still there, marring the otherwise smooth surface where the bones connect. Her hand moved up to her face and she clutched her lips and nose. Breathe deeply, don’t panic, breathe. That all happened a long time ago. You are fine now, calm down. Calm down. Breathe in and out. In and out. Gradually, Kya’s heart rate returned to normal. Her breathing evened and the squeezing tightness left her stomach. From the other side of the tent, she could hear Mikri’s soft snoring. Kya blinked a few times and the storm continued to rage outside. Stormy nights like this always brought back the memories. There are some things buried so deep that only the piercing light and stinging rain can uncover. But she made it through that once. Kya could certainly do it again. After a few days of delay, I have finally gotten to sit down and watch the Warcraft movie in the theaters with Yotaan. I wore my Alliance shirt, put on my quest giver baseball cap, and saw the whole movie, very beginning to bitter end (of course, we stayed until the credits had finished). And now, as with most noteworthy things I do, I’m going to write all about it! So here it is, THE PANTS SANCTIONED WARCRAFT MOVIE REVIEW. 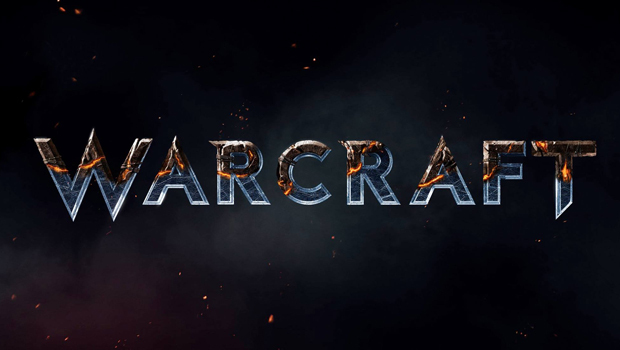 THE FOLLOWING BLOG POST WILL CONTAIN SPOILERS TO THE WARCRAFT MOVIE. I WILL DISCUSS CHARACTER. I WILL DISCUSS PLOT. I WILL DISCUSS JUST ABOUT EVERYTHING. FOR THOSE WHO HAVE NOT YET VIEWED, YOU HAVE BEEN WARNED. First things first, I need to clarify the viewpoint I was in while watching the movie. Everyone has biases and preconceived notions, and here were mine. 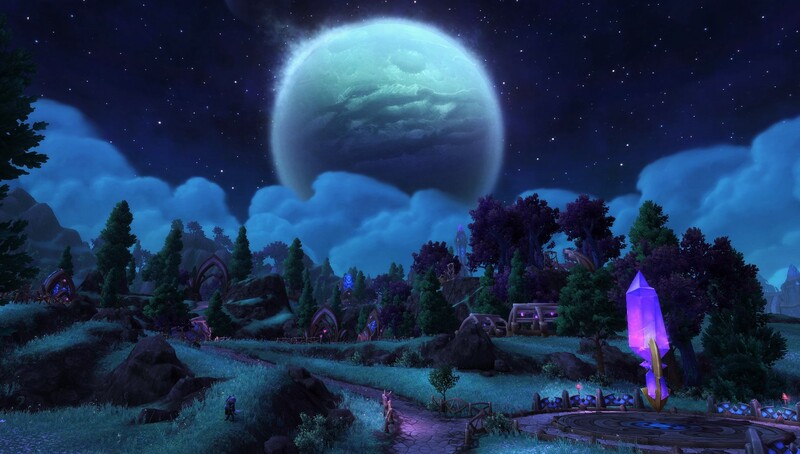 I am an avid warcraft player with a deep love for the game. Going in, I wanted the movie to be a success. However, I’m also a bit of a lore nut, well versed in the game story behind the events of the movie. One of my least favorite things is when movie adaptations twist the story to be unrecognizable so I was a bit worried at the extent of the lore changes. Finally, this was the first video game movie I have seen so I was coming into the movie with none of the baggage of the genre. And the verdict is… the movie was alright. It wasn’t groundbreaking or particularly compelling but it also wasn’t horrible or cringe worthy. Middle of the road I guess? It wasn’t bad and it wasn’t great, it was solidly acceptable. My biggest complaints with the movie was the pacing of the story. The whole thing just felt rather rushed and poorly explained. Once the orcs invaded Azeroth proper, there was just a huge string of events and characters being introduced. The movie was 2 hours long but I felt like I barely got to learn about the progression of the war itself. One minute the orcs are invading, the next Llane is planning for a final stand. There just wasn’t a good development of the crisis. I would have liked to see a scene where our heroes try to save a town, only to be eventually pushed back by sheer numbers. We needed more orc human battles, not just in random woods where its hard to tell overall who’s winning the war. I wanted to be sold on the fact that these savage orcs had just invaded and destroyed 18 of the 21 legions of Stormwind soldiers. Show more of the war. Some details were totally glossed over but there were other scenes that dragged on for entirely too long. I could have done with the meeting between Durotan and Llane being much shorter. The outcome of the meeting was A) Medivh is brought to Karazhan and his treachery is then revealed, B) Lothar’s son dies and he gets all mopey and C) Llane learns that there are orcs who don’t agree with Guldan. While these are all important plot developments, in theory they could have happened at any point in the film with very little set up. Outcome C can still occur in a shortened meeting scene and hey, they can add a battle scene in a town like I’d like where A and B are forced to happen. Two birds, one stone! Overall, the movie felt disconnected. The scene where the leaders debated about forming the Alliance didn’t really seem all that connected to anything else happening since the issue was completely dropped once the assembly closed. Llane marches into camp, expecting to have the sizable contribution orc ‘rebellion’ on his side but then just charges in anyways when he sees that’s not true. And come to think of it, why exactly did Llane just decide to charge in willy nilly and take on the orcish camp? There was a whole bit about how the orcs fight with brute force but the humans fight with their brains. Use your brain king man, come up with some clever plan! I have a feeling that some of the disjointedness was due to poor editing sadly. The battle scene in Karazhan was particularly bad about this- the scene went from point A to point C and logically you know you went to point B first but the movie never showed it. One moment Lothar is being crushed by magic and Khadgar is spellcasting at Medivh and the next the two of them are hiding under the golem. That battle scene was the most obvious example but in general, the whole movie felt that way. I’m hoping that the directors cut version can clear a lot of that up (because you’d better believe I’m owning this movie). Putting on my lore hat for a second, the movie also had some noticeable differences story-wise from the game. I totally expected that going in but all the same, I was a little bit sad. The changes that stood out to me the most were the lack of the Shadow Council, the changes to the Guardian, and the fact that Dalaran was floating. The lack of a Shadow Council meant that Llane’s death happened in a completely different manner. Garona never betrayed the man’s trust while his son (Varian) watched on in horror. And Garona is a very different character because of this, definitely more complex and I’d argue better, but still different. The lack of the Shadow Council is only going to change the lore more as this movie version continues. Finally, and probably most nick picky is the change that Dalaran is now floating. Unless I’m just remembering my lore horribly wrong, Dalaran does not get lifted out of the crater until after the first invasion of the orcs. It’s more around the time of the scourge invasion actually. I’m sure this was done because floating Dalaran is much more beautiful and iconic but it still irked me just a little bit. Ok maybe I’m alone on this. Still though! The last major flaw I found was the weak development of characters. There were almost too many people to meet that I felt like most everyone was a 2D one word description instead of a person. I am sure, this is due to the aforementioned poor pacing of the movie but it is still something that bothered me. The death of Lothar’s son just didn’t hurt as much as it should have because the audience still barely knew either Lothar or Callan (by the way, it took me forever to just even find his name, which shows you how little you knew of him). Ok I think I have ragged on the movie for long enough, now let’s get to the part where I talk about all the things that they did right! Firstly, and I think just about every other review is going to mention this, the movie is visually stunning. The landscapes such as the shot of Stormwind and Karazhan were gorgeous. The orcs seemed more alive than the humans at some points. It was truly Warcraft on the big screen. I felt like I was stepping inside the game and I was very very impressed. And the magic, ooh the magic was just beautiful! I went with other members of my family (who are not as familiar with warcraft as Yotaan and I are) and their first response was how impressive the spellcasting looked. It was fantastic! Flashy without being over the top and very distinctively warcraftian. Two thumbs up from this mage! The movie was also chock full of little details and easter eggs which were a blast to find. I saw the murloc (there was actually a cheer in the audience at that scene), the classic fishing bobber, and Grommash Hellscream to name a few, and I’m sure there was more. 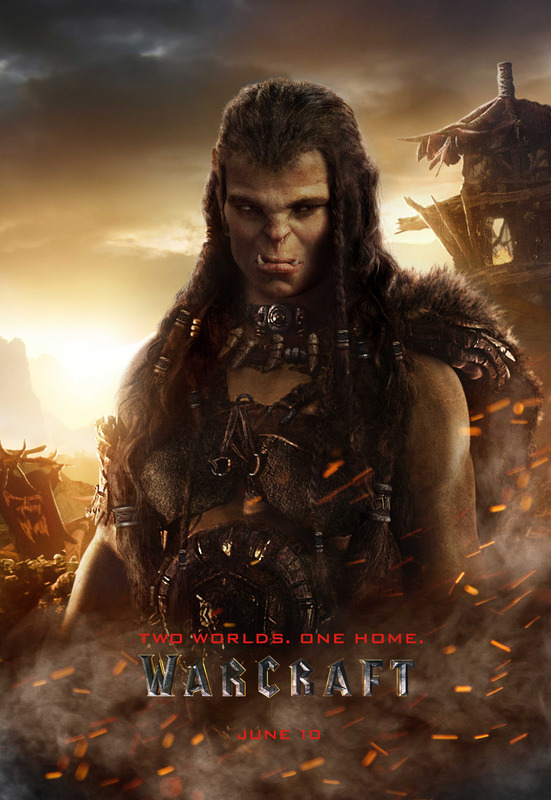 It really felt like the movie was made by wow player for wow players and I thoroughly enjoyed it! Also, there was a refreshing amount of female fighters on both the orc and human side. In the grand scheme of things, this is a really small detail but I totally loved that it wasn’t just huge muscular orc man bashing huge muscular human man. 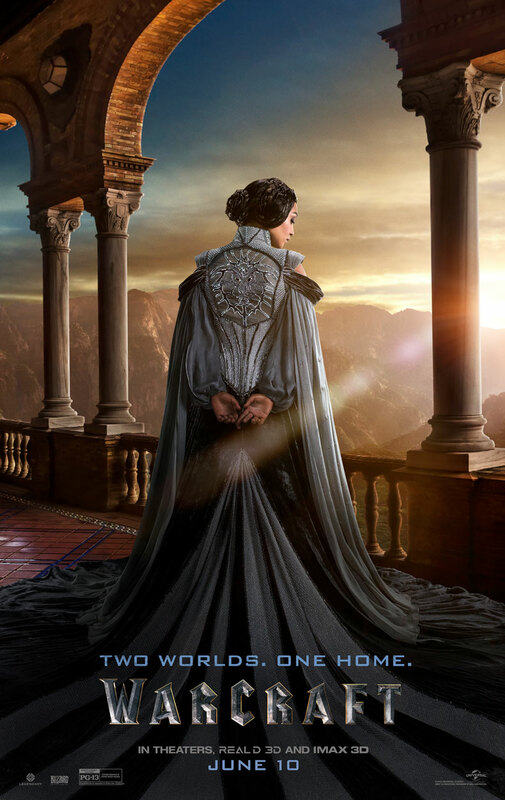 So often fantasy movies like this leave out the ladies, other than a few warrior princesses scattered here and there. I like the fantasy genre a lot but I always come out wishing there had been more regular warriors who were also regular women. And in the warcraft movie, I got exactly that. There were women and they were wearing the same armor fighting in the same battles. Rock on! Even though I mentioned this in the cons, I also think the characters were one of the strengths of the film. As I mentioned before, I think the Garona character was changed from game lore into a very interesting and complex one. The beginning was a little rocky but as the movie developed, we quickly got to learn more about the conflict with in her. Her struggle to accept when people were actually being kind to her for the first time in her life, and then her bravery to give up that acceptance for the greater good. She was a martyr character but also the scapegoat and the ultimate hero. I could probably go on about Garona for an entire blog post all on it’s own so I’ll finish here and just say: Garona was amazingly compelling. Secondly, although I knew this one was coming, I found myself more and more interested in the Medivh character. 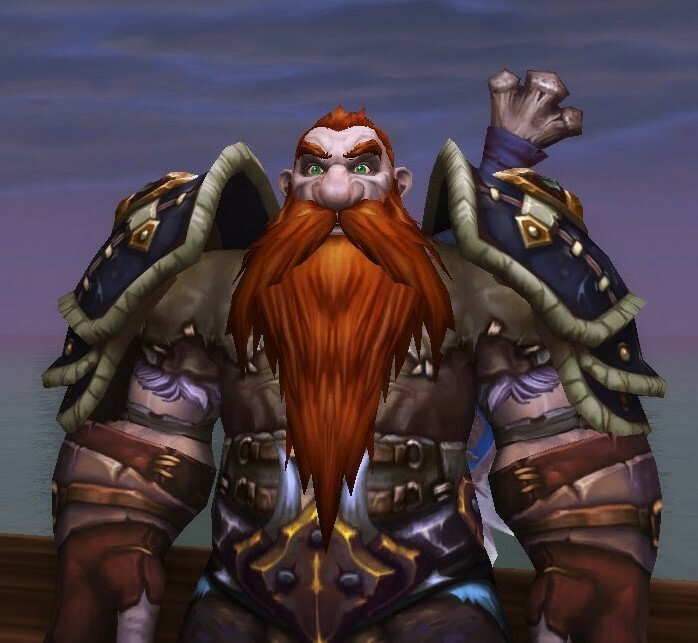 He was struggling so hard to do the right thing; it’s almost as if the shock of finding out that he was the one who brought the orcs to Azeroth horrified himself as well as everyone else. 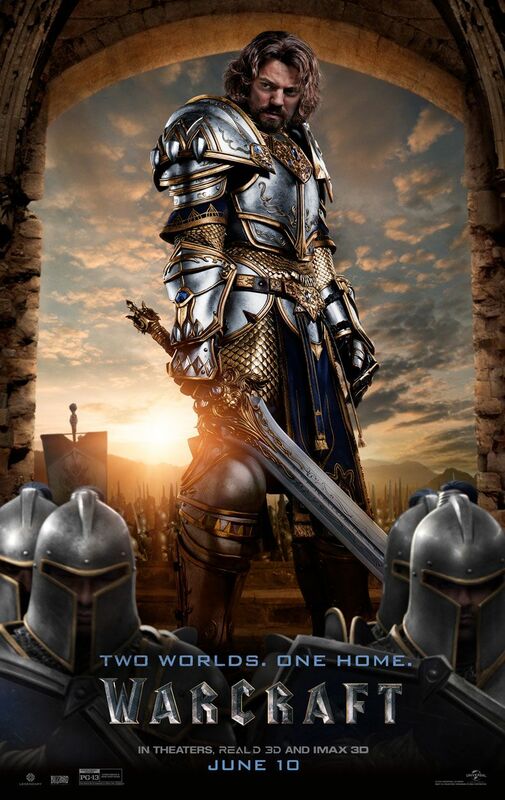 Very much the tragic hero but even he got his final redemption in the end, when he opened the portal to Stormwind for the human army to escape through. And finally, Khadgar. What, don’t look at me like that! I can explain alright, I can explain! 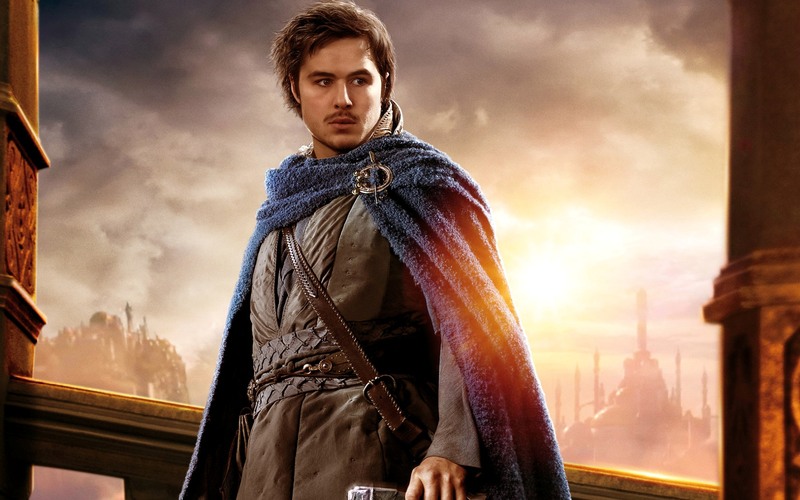 The Khadgar character was undeniably my favorite character in the entire movie. In a world of totally confident, competent, and heroic knights, Khadgar was the mage who didn’t always know how to best go about things. He would mess up, he would blunder, and he would bumble but in the end, Khadgar always strove for the right things. Everyone else was so jaded and battle hardened; Khadgar was a fresh breath of enthusiasm and youth. Heck, appearance wise, he was even a bit disheveled and pudgy. And I absolutely loved that. I was rooting for Khadgar from the beginning because gosh darnit he really tried and he really cared. Not because of any overly heavy sense of duty or loyalty but because Khadgar was a good person at heart. You know how I said I could write a whole blog post on Garona? Well, I could probably write a novel on Khadgar. Which is why I’m going to stop myself here. Overall, I’d have to say the Warcraft movie was a decent movie. There were issues to be sure and I occasionally found myself broken out of the moment by the jarring editing or plot speed but nothing was unforgivable. If nothing else, it was a full 2 hours of nerd eye candy. But the movie, among it’s underdeveloped and two dimensional characters also hid some real gems. I just spent AN ENTIRE EXPANSION with Dadgar to complete that stupid ring quest and yet I found myself absolutely in love with the Khadgar in the movie. And the sheer nerdy joy of watching my favorite game on the big screen certainly helped. 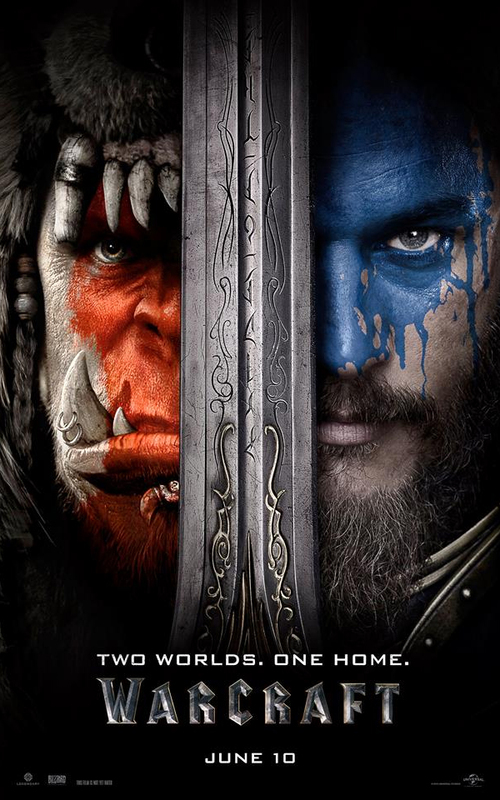 It had its flaws but the Warcraft movie was nonetheless a highly enjoyable film. And I definitely cannot wait for the sequel! One of my fondest memories as a kid was back in Junior High. Every couple of weeks a few friends and I would meet up. We would sit around the table and play AD&D. We started with level one characters and played enough to really develop them. I had a cleric and thought he (then she – long story but basically in an adventure the character sat in chair that changed gender) was the coolest. When we were not playing, I would imagine his backstory and were he came from. I recall that he was a follower of Dionysus and therefore loved wine, a bit too much I think. He even had a bag of holding that contained an entire wine rack! During adventures he would drink and then make mistakes – such as sitting in suspicious chairs – that ending up being hilarious. I created a personality and that I think was the best part of the game. 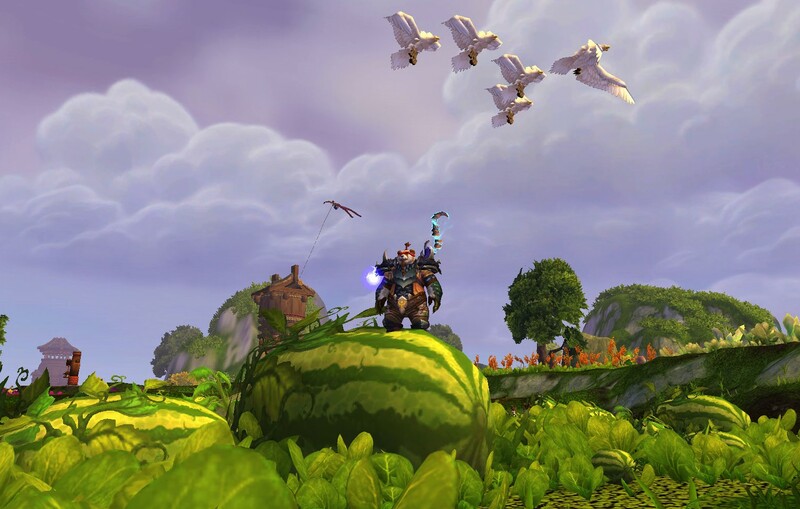 Fast forward to WoW – while there are RP servers and I clearly have RP’d in the past I didn’t have the full interest to dive in like I did with that cleric. Plus, when I first started I played with a friend so naturally I started a toon on his server, a PVP server. However, I did create mental backstories for my characters without realizing it. Recently, Fussypants had asked me why I chose that particular face for Ayayron, she thought it was quite ugly and disturbing. What surprised her and me was my immediate and fairly complete head cannon. Ayayron was a regular human in life. He had a humble profession and was not anyone important at all. 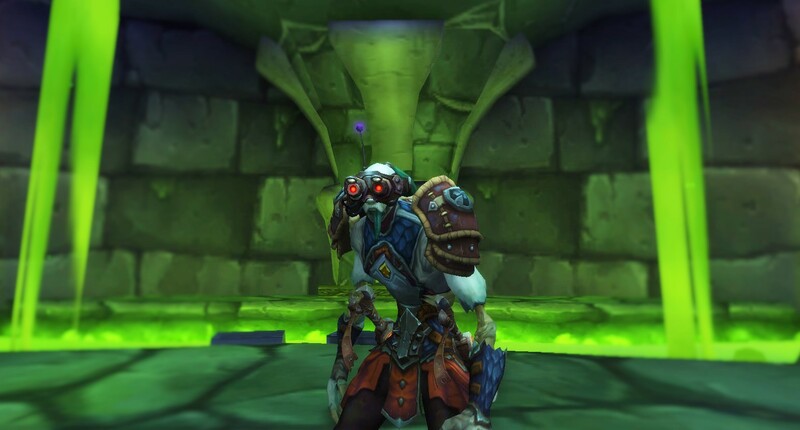 Unfortunately, like many innocents, he was dragged into the conflict between the Horde and Alliance. He died horribly due to a tremendous blow to the face. To this day, Ayayron cannot remember the details. He does not know who did it or exactly what the circumstances were. He was then raised into unlife by the Banshee Queen. 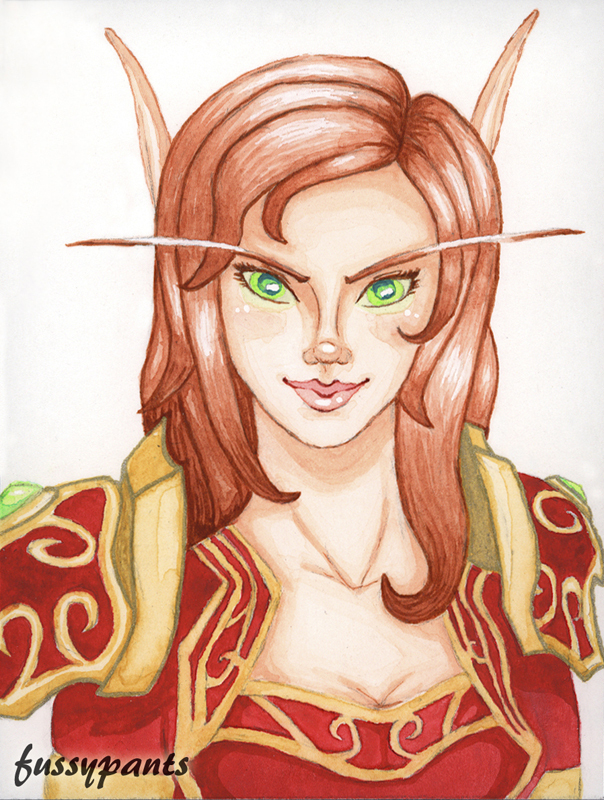 While most Forsaken have a fanatic loyalty to Sylvanas, Ayayron saw her as a means to an end. Shortly after being raised, he had looked into a mirror and discovered the horrifying truth – he was missing the lower half of his face. This was unacceptable. Ayayron must rectify this and his queen has provided an opportunity for revenge. He appreciates this but he now has a single ambition in unlife. Ayayron will kill whomever killed him and he will wear their jaw to fix his face. He will spend every day in his unlife exacting his revenge. As it turns out, a few of my other characters have head cannon too, but not quite so vicious. Yotaan the pandaren shaman (formerly Yotin the troll shaman) has always had simple roots. He was first and foremost a farmer. This was established years ago and I was very happy to get the Farmer title from the Tillers in the previous expansion. He became a shaman because it helped his farm work. Rain whenever you need it! Heeaahww is an ugly little dwarf and grew up as an orphan. If you look closely, he has features of both the Wildhammer clan and the Dark Iron clan. He is the product of a secret relationship that went sour very quickly. He was given up as a baby and grew up in Ironforge. Heeaahww mostly kept to himself. He became attracted to becoming a monk because of his personal duality of his heritage and hoped that he could manage it with monk practices. He still struggles with it today. The best part of AD&D was imagining your character. In my mind I created an entire castle (with vineyards, of course) for my cleric. (S)he had prized possessions, a personality, ambitions, and all those necessary bits to make a character alive. I think that I have done this a little in WoW as well and that may be why I play certain characters at certain times. What’s your head cannon? This post was written entirely by Yotaan.